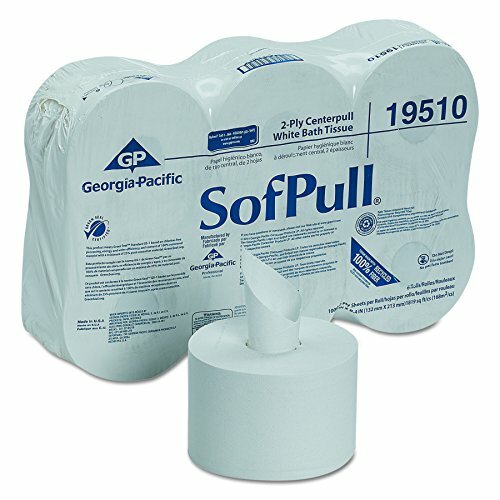 Sofpull Centerpull paper towels are soft for thorough, gentle hand-drying, yet strong and absorbent for light cleanups. And because these towels are thick and high quality, employees and patrons tend to take fewer, helping to reduce waste. The dispenser’s one-at-a time design helps reduce waste and, because contact with the dispenser is minimized, there is less risk of cross-contamination. The dispenser is designed to not only dispense one-at-a-time, every time, but also it’s easy to load a fresh roll with one hand, saving on maintenance time. Use these premium paper towel systems in restrooms, break rooms, waiting rooms, food preparation areas and more. GP PRO is a division of Georgia-Pacific Consumer Products. We deliver well-designed, durable and easy-to-maintain professional solutions to meet the handwashing and cleaning needs for a range of business applications. SofPullTissue and Dispensers put a smart new spin on bath tissue – one-sheet-at-a-time dispensing. Say goodbye to loose jumbo rolls spinning out of control. 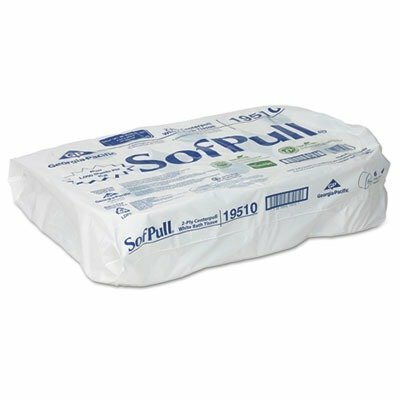 SofPull Tissue makes it simple to take just the right amount of tissue. This 2-ply, perforated, quality bath tissue is soft and thick when compared to jumbo bath tissue. 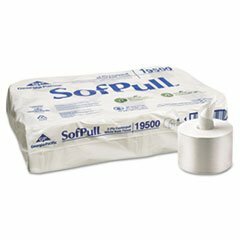 SofPull Tissue meets the EPA Guidelines for Post-Consumer fiber. (Meets or exceeds EPA Comprehensive Procurement Guidelines). 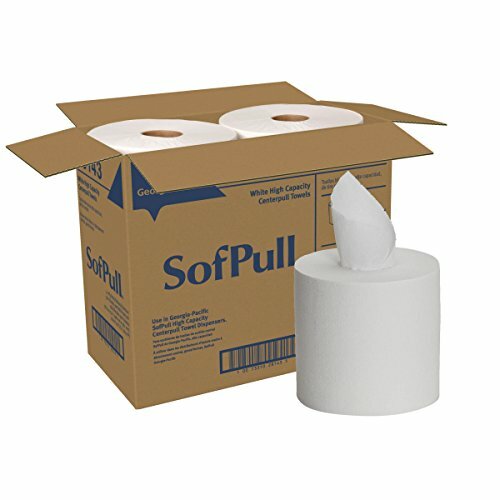 SofPull Tissue and Dispensers are the solutions that help reduce costs and waste, while improving hygiene... all just one pull. 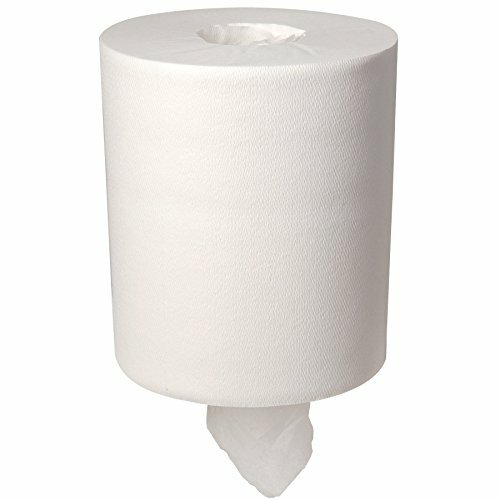 Georgia Pacific Sofpull 28124 Regular Capacity Premium Centerpull Paper Towels, White, 15" L x 7.8"
Sofpull center pull paper towels provide a hygienic, cost-effective alternative to full-size towel dispensers. Each sheet dispenses fully open and ready to use, delivering the right amount of toweling to handle hand drying or any size clean-up need quickly and easily. These towels are made to deliver absorbency and softness. Try them for hand-drying in the washroom or medium-duty kitchen tasks. Sofpull towels are an excellent choice for foodservice, food processing, maintenance, general manufacturing and healthcare facilities. "Two-ply, high-capacity roll drives fewer roll changes and lower maintenance costs. Larger, more generous sheet size than standard bath tissue. Tissue Type: Toilet; Number of Plies: 2; Number of Sheets: 925 per roll." Two-ply, high-capacity roll drives fewer roll changes and lower maintenance costs. Larger, more generous sheet size than standard bath tissue. Tissue Type: Toilet Number of Plies: 2 Number of Sheets: 925 per roll Length: 8 2/5amp;quot;. High-capacity roll drives fewer roll changes and lower maintenance costs. Larger, more generous sheet size than standard bath tissue. 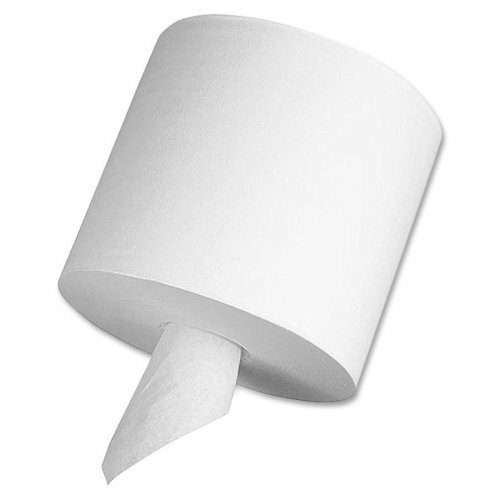 Tissue Type: Toilet; Number of Plies: 2; Number of Sheets: 925 per roll; Length: 8.40 in. 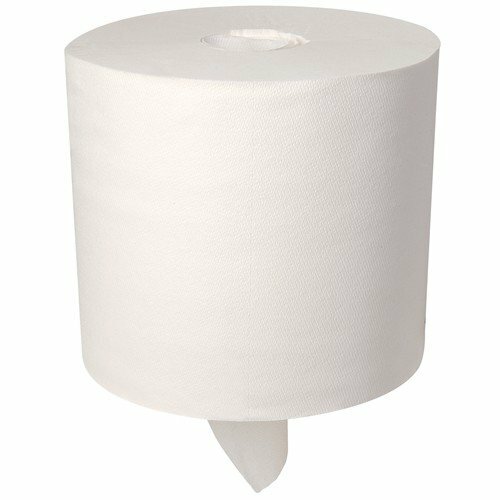 SofPull centerpull paper towels provide a high-capacity, hygienic, cost-effective alternative to full-size towel dispensers. 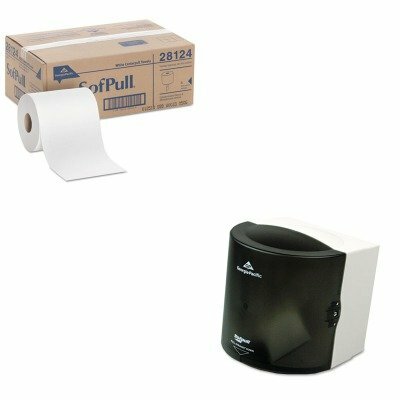 Roll is designed for use in Georgia Pacific SofPull Paper Towel Dispenser with a large capacity design (sold separately). Each sheet dispenses fully open and ready to use, delivering the right amount of toweling to handle hand-drying or any size cleanup quickly and easily. Premium quality delivers absorbency and softness. Try them for hand-drying in any washroom or for medium-duty kitchen tasks in high-traffic food service, food processing, maintenance, general manufacturing, and health-care facilities. Paper towels dry hands efficiently and wipe up large spills and tough messes. 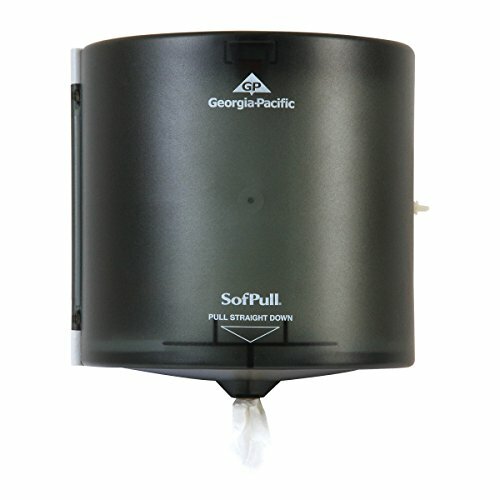 lt;stronggt;GEP58201lt;/stronggt;lt;BR/gt;Georgia-Pacific SofPull 582-01 High Capacity Centerpull Paper Towel Dispenserlt;BR/gt;Sanitarytouch only the towel you use. Requires just one hand to tear off a towel. Easy to load and self-threadingno moving parts includes low-paper indicator. Locking plastic case one key incl.. Mount screws not included. 560 sheets per roll. Use with SofPull Towels GEP-28143 sold separately. Towels Dispensers Type: Roll Towel Dispenser Materials: Plastic.lt;BR/gt;lt;BR/gt;lt;stronggt;GEP28124lt;/stronggt;lt;BR/gt;Georgia-Pacific SofPull 582-01 High Capacity Centerpull Paper Towel Dispenserlt;BR/gt;Soft, strong, absorbent. Towels dispense fully open, dry effectively with less waste. One-at-a-time dispensing ideal for kitchens and bathrooms. One-ply premium grade. 7 7/8 x 15. Fits SofPull Dispenser GEP-58204 sold separately. Towel/Wipe Type: Roll Towels Application: Bathrooms. Looking for more High Capacity Sofpull Center Pull similar ideas? Try to explore these searches: Ecc 184 Pin Rambus Memory, Sunburst Maple Neck, and Handmade Soap Recipes. Shopwion.com is the smartest way for comparison shopping: compare prices from most trusted leading online stores for best High Capacity Sofpull Center Pull, Standard Price Tag Gun, Laser Etched Powder, Center Sofpull High Capacity Pull . Don't miss this High Capacity Sofpull Center Pull today, April 23, 2019 deals, updated daily.